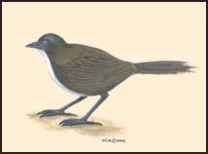 Orthonyx novae guineae Meyer, 1874, Arfak Mountains, New Guinea. Three subspecies. Neuguineaflöter; Spanish: Corretroncos de Nueva Guinea. PHYSICAL CHARACTERISTICS 7.3 in (18.5 cm); female 0.10-0.13 lb (47-58 g), male 0.12-0.17 lb (53-75 g). Similar to southern longrenner. Scattered localities in mountains of New Guinea between 6,500-9,300 ft (1,980-2,840 m), probably up to 11,300 ft (3,450 m); occurs locally as low as 3,900 ft (1,200 m) in Irian Jaya. 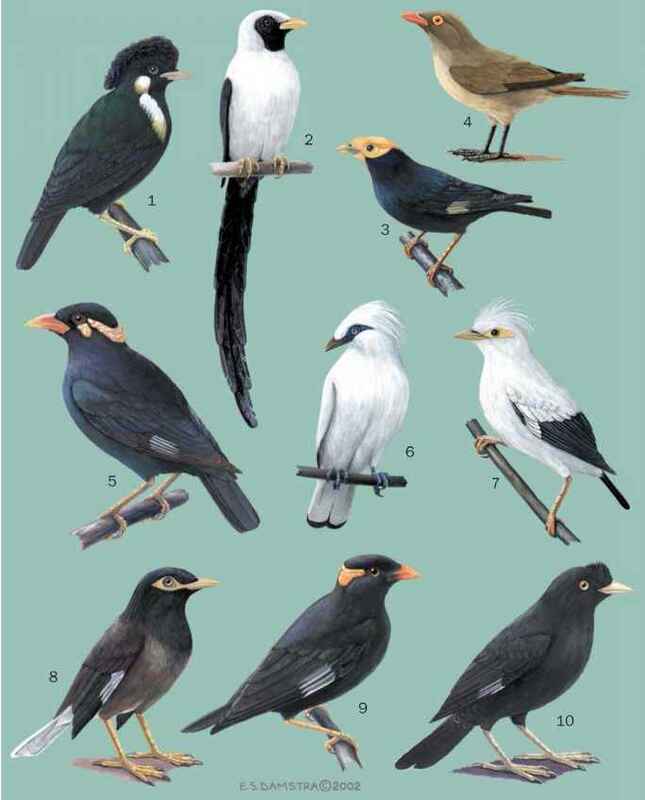 O. n. novaeguineae: northwestern New Guinea; O. n. dorsalis: western central New Guinea; O. n. victoriana: eastern New Guinea. 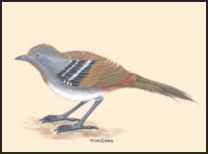 white in males and orange-brown in females. Thin white eye ring. 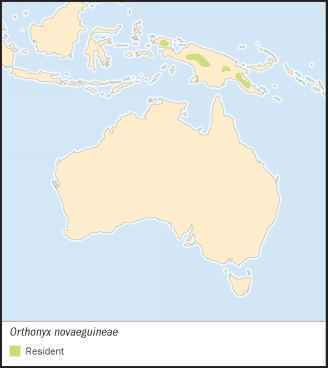 O. s. spaldingii: northeastern Australia; O. s. melas-menus: northeastern Australia, north of O. s. spaldingii. Generally above 1,470 ft (450 m), locally in lowlands with highest rainfall. Terrestrial. Quiet, cryptic, and easily overlooked. 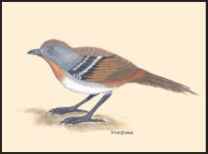 Usually seen in pairs or small parties of three or four birds. Song is series of four to six descending notes. The nest is a small dome of moss, root fibers, and plant stems, about 5 in (12.5 cm) wide placed on the ground. Nests with a single white egg found in March and November. Generally scarce to rare, although not considered a threatened species.